Talk to people. First and foremost, LinkedIn is a social networking tool. You should be using it to make connections with people. Review the updates of your contacts and reach out to them. Comment on their posts or congratulate them on any accomplishments. These connections are where you are most likely to find job opportunities. Post your own updates. When you post on LinkedIn, people are a lot more likely to engage with you. Feel free to post updates, articles, or anything else that you think would be of interest to your contacts. Just remember that LinkedIn is a business social networking site so keep your posts professional and somewhat related to your career. Use keywords. The most common way for you to be found by recruiters on LinkedIn is through a search. The recruiter will type in a few keywords related to your job and profiles with those keywords will pop up. Therefore, it is essential that you use the right keywords in your profile. Search job advertisements to identify commonly used keywords and include them in important areas of your profile such as your headline and your summary. Make more connections. 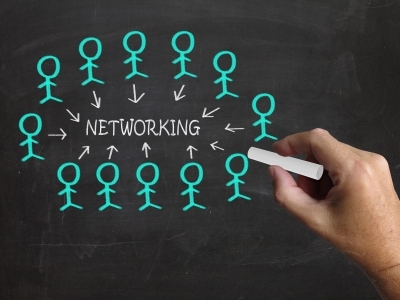 Your connections on LinkedIn can expand your reach exponentially. The more connections you have, the more your profile will show up on newsfeeds and searches. Make identifying new connections a part of your daily routine, but remember to only connect with people who you actually know! Follow your target companies. LinkedIn is an amazing research tool when you are looking for a job. By following your target companies you can better understand the organization’s culture, values, future plans, and you can be the first to find out about any job opportunities. Check out the pages of your target company at least once a week and interact with the company whenever it’s appropriate. It is easy to get lost in the complexities of LinkedIn, but essentially LinkedIn is a tool that allows you to communicate with people. If you always try to see the people behind the profiles and you make genuine connections with them, your efforts on LinkedIn will be successful.